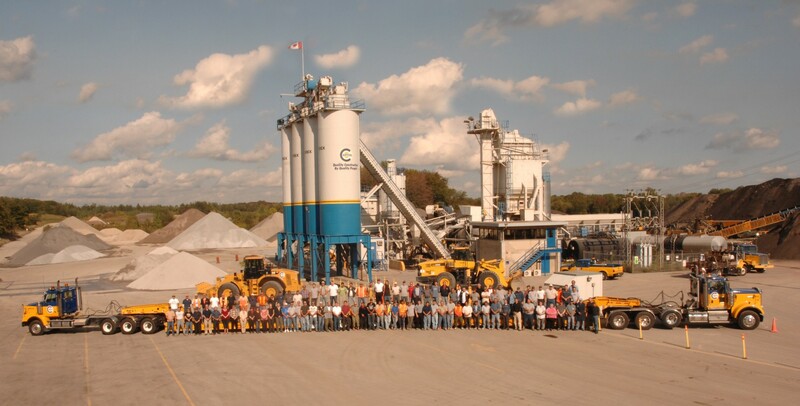 Quality People - Capital Paving Inc.
Capital thrives to find the highest quality of employees in the industry. Our full-time construction supervisory/management staff individually average over 20 years of experience in the industry. Many of Capital's employees have post-secondary educations, with professional designations including four Professional Engineers, two full-time EIT's, four Certified Engineering Technologists, a Certified Engineering Technician, a Certified Payroll Manager and a Chartered Professional Accountant. Capital continues to build for the future. Geoffrey Stephens is the President and CEO of Capital Paving and he has over 30 year of experience in the industry. Geoffrey started from the ground up, working in all sectors of Capital. Geoffrey takes pride in his business and leadership skills he attained through his Business Administration degree from Georgian College. Capital Paving is a second generation family owned business and has grown significantly over the years. Geoffrey has also expanded his interest in the infrastructure industry by purchasing Fowler and is one of only two shareholders in the company. Together the two companies employ over 600 employees. Geoffrey received the Colleges Ontario Premier’s Award for Business in 2011, an award that is given to devoted entrepreneurs, innovators and leaders who are strategic and creative. It honours the important social and economic contributions that college graduates make to Ontario and throughout the world. Geoffrey was invited to attend the QuantumShift program, a rigorous five-day developmental experience that annually challenges forty of Canada’s most promising entrepreneurs to improve their leadership styles, inspire their business partners and maximize their growth opportunities. He has been recognized by the Richard Ivey School of Business as one of the top 40 entrepreneurs in Canada and has attended the Quantum Shift fellowship program for a numbers of years. Geoffrey is a leader in his community and actively involved in fundraising initiatives for the Alzheimer Society of Cambridge and Guelph-Wellington and Sunrise Therapeutic Riding and Learning Centre. Geoffrey has had a long history sitting on a number of infrastructure boards in Ontario. He is the past President of the Conestoga Heavy Construction Association. Geoffrey was appointed to an industry provincial board, the Ontario Road Builders Association (ORBA) and has been a member for over 10 years. 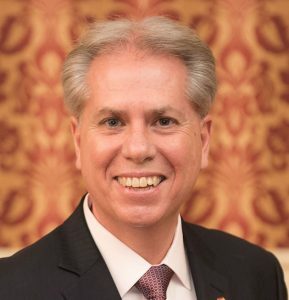 He has held positions within this board as secretary-treasurer, Vice President and in 2017/2018 Geoffrey was the 90th President of the Ontario Road Builders Association. Geoffrey was awarded the Director of the Year award by the ORBA in 2015. Geoffrey and his wife Julianna recently celebrated 25 years of marriage. They have three boys that are all currently enrolled in University programs at the University of Victoria, University of Waterloo and University of Wilfred Laurier. Geoffrey has a passion for adventure travel and is an avid fisherman and golfer. Jim Kelly, P.Eng - is currently the Vice-President/General Manager of Capital Paving. Jim oversees all construction operations, as well as estimating staff and submissions. As Vice-President, Jim uses his extensive specialized knowledge of heavy civil construction to provide leadership to department staff. He is responsible for the financial performance of the construction division, estimating division, health and safety department, and the quality control department. Jim received his Civil Engineering degree from Technical University of Nova Scotia and is a Licensed Professional Engineer in Ontario. Larry Wilson, P.Eng - is the Vice President of Continuous Improvement and Innovation at Capital Paving. Larry is responsible across all sectors of the organization and uses his strong leadership ability and technical skills to ensure Capital is continually adopting the most innovative processes, techniques, and technologies available in the industry. He is responsible for capital investments for all processes and equipment. Larry has a Bachelors of Civil Engineering Degree from University of Windsor and is a Licensed Professional Engineer in Ontario. George Lourenco, P.Eng - is the Resource Manager for Capital and is primarily responsible for all land related activities, managing and acquiring aggregate resources, ensuring all environmental permits/approvals are in place, and securing the company's energy needs. George has a Bachelor's of Civil Engineering Degree from Ryerson University and is a licensed Professional Engineer in Ontario. George is also very active in the aggregate industry and community related initiatives. He currently serves as Director on the Board of the Ontario Stone, Sand & Gravel Association as well as a Director on the Board of the Grand River Conservation Foundation. Rob Guardiero - is a Senior Estimator with over 19 years of experience in estimating at Capital. Rob has over 29 years of experience in heavy civil construction, with a diploma in Civil Engineering. Rob worked his way up through the crews learning all aspects of construction. He is currently a member in good standing with OACETT. Rob Munro, C.E.T - is the the Construction Operations Manager and is responsible for managing all major public and private contracts, as well as ensuring the financial stability of the division itself. Rob works closely with resource managers, quality control managers, project managers and supervisors to facilitate the successful completion of each project Capital undertakes. Rob has completed projects ranging in size, scope, complexity, and profile throughout his 19 year term at Capital. These projects include: interchange construction, highway widening, highway resurfacing, highway reconstruction, grade separation, intersection improvements, rail corridor management, major utility relocation, dewatering and culvert installation, etc. Rob is a member in good standing of the Ontario Association of Certified Engineering Technicians and Technologists and a CCA Gold Seal Candidate. Rob is a Program Advisory Committee (P.A.C.) member for Conestoga Colleges Civil Engineering program and Co-Chair of the Heavy Equipment Operators P.A.C. Derek Goddard, C.E.T - is in a Senior Management role at Capital Paving, as the Sewer and Watermain Infrastructure Manager. Derek is responsible for the establishment of this business unit, he also conducts and oversees the training of all Sewer and Watermain Employees. Derek ensures the unit is financially successful and drives the growth and development within the Sewer and Watermain sector. Derek brings 27 years of experience in the industry and has successfully managed numerous complex projects up to $55 million in value. He has safely managed and completed; large diameter trunk sewers, watermains up to 2400mm in diameter, countless reconstruction projects, residential site development and various trenchless technology projects. He believes that it is the relationships we create and foster with our suppliers, subcontractors and clients that ensure all projects are completed to the highest standards possible. Derek currently holds a seat on the Board of Directors of the Conestoga Heavy Construction Association, has previously held a position on the OPS Committee for Watermains and several Committees for the Ontario Sewer and Watermain Construction Association. He is also a member in good standing with the Ontario Association of Certified Engineering Technicians and Technologists. John Theriault - is the Aggregate and Asphalt Plant Manager. He is responsible for the operations of the pits and asphalt plant. John ensures the plants are working at optimal performance, providing the high quality materials we deliver to our projects and our customers. Mark Latyn - is the Quality Control Manager at Capital Paving. Mark has 24 years of experience with the production and testing of aggregate, asphalt, and concrete products. He has received training and certification from the American Concrete Institute (ACI), Canadian Council of Independent Laboratories (CCIL), Asphalt Institute, John Emery Geotechnical Engineering Asphalt Technology Course, and Ashbrooke Quality Assurance International. Mark currently sits on the Ontario Asphalt Pavement Council (OAPC) Technical Committee and the Ontario Stone Sand & Gravel Association (OSSGA) Specifications Committee. Rick Feddema, CCOHS - is the Health & Safety/Risk & Loss Manager, responsible for ensuring Capital exceeds industry safety targets. Rick is an integral team member that has lead Capital to our record of zero-lost time injuries, zero fatalities, and zero critical injuries over the last 7 years. Rick is an active member on the ORBA Health and Safety Committee. Kerry-Anne Janes, CPA, CA - is the Controller at Capital Paving and is responsible for our finances. Through implementation of comprehensive control processes surrounding our finances Capital is able to be a successful contractor, providing a high quality product to our clients.